Vanuatu's very own singing sensation, Vanessa Quai, will be part of the Pacific Mini Games through the official song which she composed. 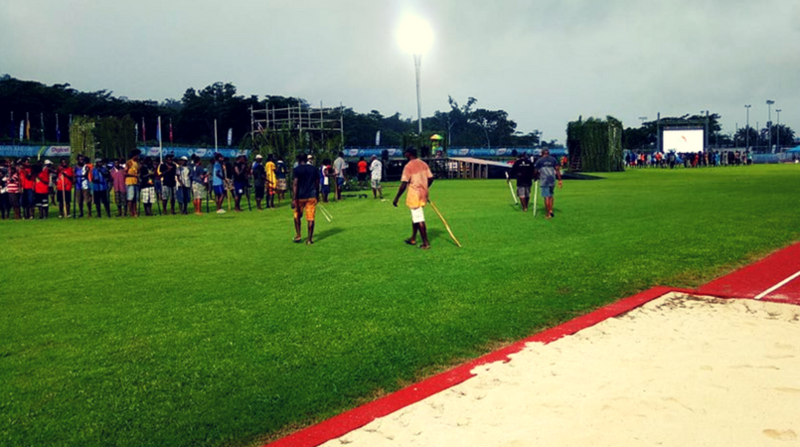 Men, women, youth and children have joined hands to rehearse for the official opening in providing exciting sketches, dances and activities to make the opening ceremony a success in the Pacific Mini Games history. People in Vanuatu and the region are looking forward for the grand opening to be staged on Monday, 4th December, at 6pm Vanuatu time (5pm PNG time). Rehearsals have continued throughout the weekend.